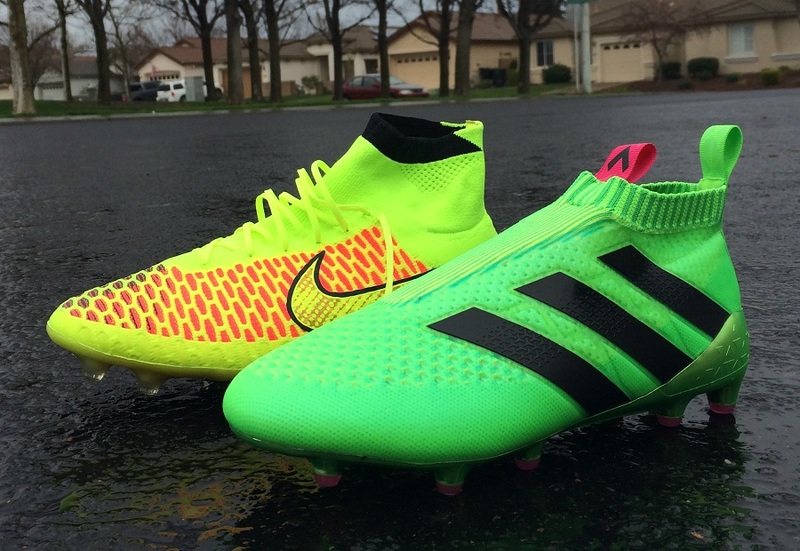 Home / Everything Else / Ace16+ PURECONTROL vs Magista Obra – Which to Choose? One of the most common question that has surfaced regarding the heavily promoted Adidas Ace16+ PURECONTROL to date is how they compare with the Nike Magista Obra? 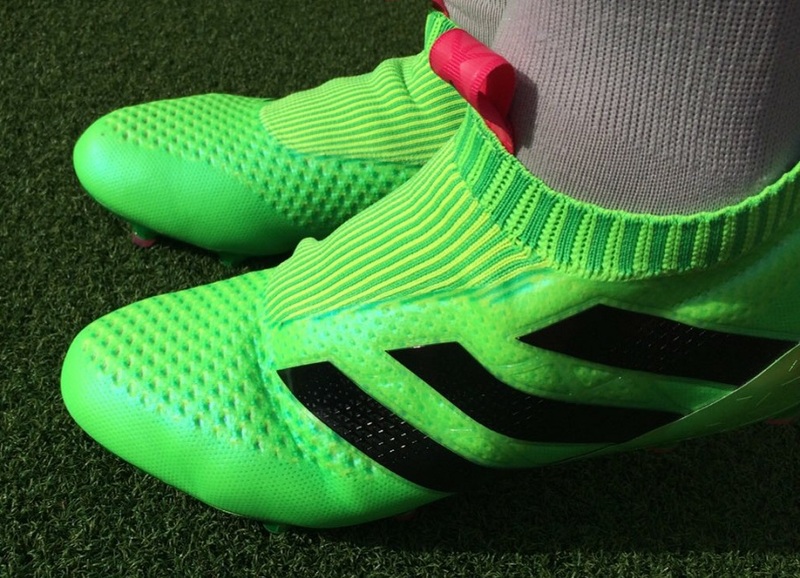 Laces aside, the boots are intended to provide players with a similar style of premium in-game performance. And when you also factor in the knit upper design, you can see why folks would want them compared. So, while we finish up our review of PURECONTROL, we wanted to tackle a quick comparison and free your mind of any confusion between both. This is especially true should you find yourself in a quandary trying to choose between them! Check the details below, and let us know in the comments if you have any additional questions related to both. 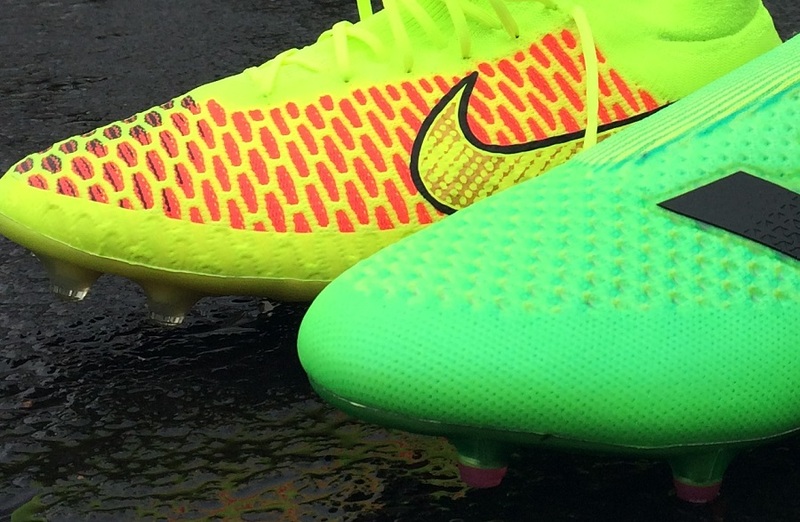 Check the latest Purecontrol + Magista Obra colorways. How do they differ in fit across the upper? For the Magista, a Flyknit upper and dynamic mid-cut collar work together to provide a secure fit right across the forefoot. Even without the laces, they feel decently tight to the extent that you could easily jog around in them. Flyknit is obviously intended to be stretchy, so through wear they provide an elastic style feel, naturally stretching to your movements without loosing shape. Where they really don’t work out so well is under heafty challenges, where the thin lightweight material offers little protection. The PURECONTROL is a very different style boot. As the first laceless boot released by Adidas, they push boundaries and the overall construction proves completely fresh to even the most influential of boot aficionados. There is an adjustment period as you familiarize yourself with them. In order to create the design, adidas use a two piece upper design. The outer layer is a synthetic microfiber material that adds durability and form to the upper. This in turn ensures you get a little extra protection and they are a relatively safe style boot to wear! But, this also makes them a little stiffer than the elastic feel Magista Obra. The under layer, or knit cage system, is what creates a locked down feel. From experience, I can definitely tell you that they are a true-to-size option that will keep your foot held securely in place through wear. There is a slight adjustment period to PURECONTROL that you don’t encounter with Magista Obra. It has a lot to do with the slightly more rigid upper feel as the material needs a wear or two to loosen up. Then the knit cage system has an extremely snug feel right across your forefoot. It is a case where you should allow yourself a few light sessions in them to figure out what laceless is all about. Realistically, you won’t notice a substantial difference, but the extra time will ensure you enjoy what this revolutionary boot is all about. Do you want a stretchy fit upper or something that is a little more rigid? That is basically what it all comes down to. The concept of laceless comes across as an obvious factor, but I don’t think that should be a defining factor. General performance categories like feel, fit, touch and control are where you need to base your decision. So, it ultimately comes down to personal preference. Until I finish the review, I won’t spill the beans on which I’d chose. Final note, if price is an obstacle, you can find far better deals on the Magista Obra right now, simply because they’ve been on the market longer. But, PRIMEKNIT is the newer boot available and offers a look not many of your friends will have right now. If you are interested in either boot, find latest colorways for each currently available at soccer.com. i tried the purecontrol, found them a bit plasticky as compared to my previous obras. However, what's your opinion on their durability? My Obras completely separated from the sole plate after a few wears. I have actually tried both the obra and the pure control, and found that the obra gives more of a secure feel, while the pure control feels just a bit less fitting around my foot. the pure control may offer a more stylish new look, but in performance, I would choose the Nike obra.